Most awaited Central Depository Services (India) Limited (CDSL) IPO hits the market next week. 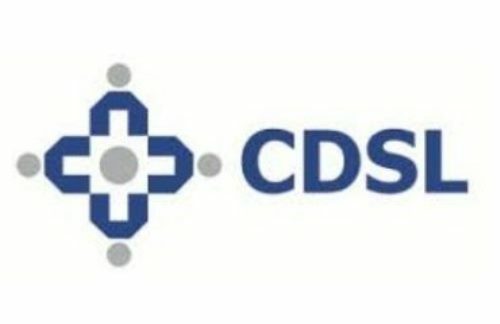 Incorporated on 12th December 1997, CDSL is the Leading Securities Depository in India by incremental growth of Beneficial Owner (“BO”) accounts over the last 3 Fiscals and by the total number of registered Depository Participants (“DPs”), as at the end of Fiscal 2016. CDSL offer services to the Depository Participants and Other Capital Market Intermediaries, Corporates, Capital Market Intermediaries, Insurance Companies and Others. Issue Size ( Rs.) Rs.509.92 Cr - 523.99 Cr. Issue Size: 700,000 Equity Shares. Bid Lot: 100 Equity Shares and in multiples thereafter. Offer Period; Monday, June 19 - Wednesday, June 21, 2017. CDSL has a wide network of DPs, who act as points of service for their investors, operating from over 17,000 sites across the country. As of April 30, 2017, CDSL has 589 DPs servicing across 29 States and 7 Union Territories including 2 Overseas Centres. CDSL will continue to diversify their product and service offerings depending on investors' needs. They have received the LOI to register as a Warehouse Repository. CDSL has also planning to expand their NAD project to include more Educational Institutions in the future. At Rs. 149 per share, company's market cap will be Rs. 1,557 crore, with EV of Rs. 1,009 crore. This translates into EV/EBITDA multiple of 8.4x and 7.3x based on FY17 and FY18E earnings, and a PE multiple of 18x and 17x respectively, which is not expensive. Giving sound fundamentals, sector tailwinds and inexpensive pricing, the issue is good for long term.